Check out the laid-back vibe at Pitchfork, Nelson's newest eatery located in a beautiful brick heritage building in the historic downtown. A modern bistro with a French-inspired menu, Pitchfork's kitchen uses fresher than fresh ingredients sourced from their 20-acre farm located just 15km away. With hand-crafted cocktails, an impeccable wine list and down-to-earth rustic ambience, Pitchfork is fancy enough for a night out with your sweetie and casual enough for an after-work (or apres ski) drink with friends. It's fantastic food without the fanfare. Think of Pitchfork as a 'farm to friends' eatery, where your friends are their friends and happiness is number one. 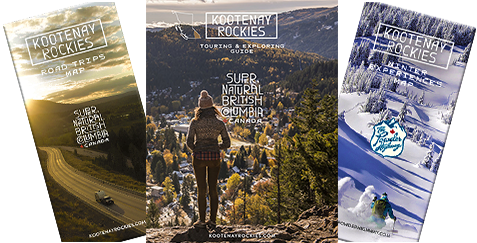 The Nelson Kootenay Lake area is brimming with a diversity of mountain culture. The mountains here were once alive with Sinixt and Ktunaxa First Nations, and then the sounds of miners working their claims, and today you are likely to encounter backcountry hikers and skiers. The rich mountain cultures of Nelson, Balfour, Ainsworth Hot Springs, Kaslo, Lardeau and Meadow Creek boast a vivid past of Victorian architecture, vibrant art scenes and colourful cultural histories. Those unique qualities are matched with world-class outdoor adventure, great dining, shopping and accommodation options.